If you've been on campus this fall, you've no doubt seen the beautifully refreshed exterior of the historic Schneider Center. If you're not a student, you may not have seen the inside, though! November 6 is your chance to rectify that. 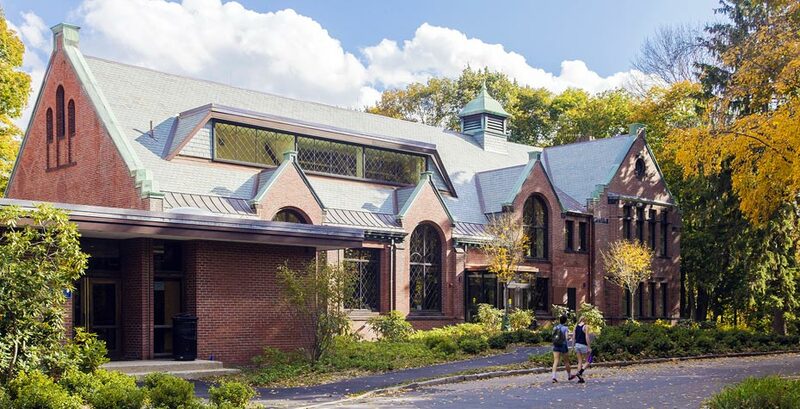 An open house in Schneider Center from 3:30 to 5 p.m. on Thursday, November 6, offers a wonderful opportunity to appreciate the magnificent makeover the space has received as part of Wellesley's Plan for Campus Renewal—and to visit with the colleagues, friends, and mentors who now make it their headquarters. Refreshments and good conversation await. Schneider now houses offices that serve students, making it a one-stop shop for handling many of the administrative and advisory aspects of being a student: Class deans, housing and transportation, international study, the registrar's office, Student Aid Society, and student financial services all have offices in Schneider. An indoor connector to Billings Hall means other offices, such as student involvement or religious and spiritual life are just steps away.